If you are reading this then it means you want to learn how to become rich? Becoming rich is easy. You just have to understand how money works. Remember working hard doesn’t mean you will be richer. If that would have been the case then a labourer would have made more money than Warren Buffett or Mukesh Ambani. Like the law of gravity, there are laws of money. In fact 7 of them. Rich people understand these laws and hence their wealth keeps growing. Today, I will teach you the first law of money. This law is so powerful and amazing that once you start using it, it brings immense satisfaction to your soul along with a strong financial foundation. This is the first step of becoming rich. First law of money is Save 10% of what you earn. You have to pay yourself first. You gotta take care of yourself first. When I say pay yourself first, it means to set aside 10% of your earnings for yourself, even before paying your bills, utilities or rent. There are many jobs or business in which you may earn money. You could be a doctor, an engineer, a construction worker or a teacher. This law of money applies to all of you. It is as universal as gravity. It doesn’t matter whether you are a scientist or a teacher, gravity will always pull you down towards earth. In a similar way this law is the stepping stone to become rich irrespective of who you are or how much you money you earn. If every morning you put 10 eggs in a basket and take out 9 in the evening. And you do this every day. What will eventually happen in some days? 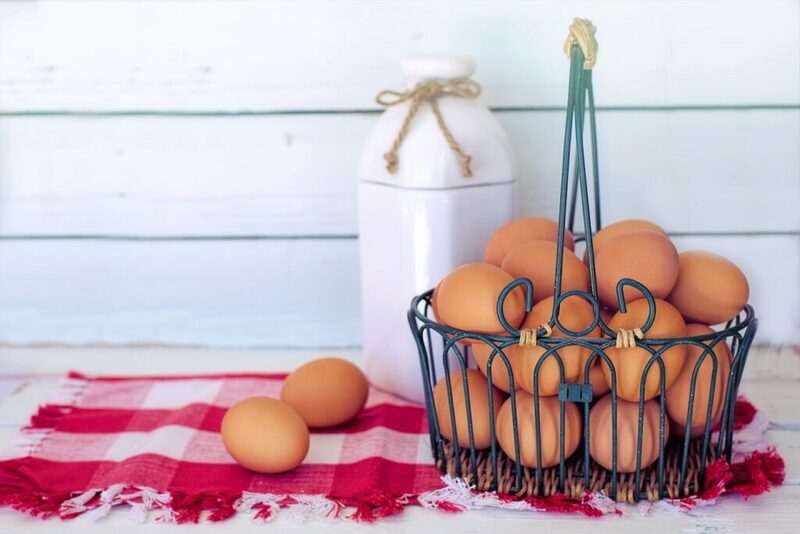 Basket with eggs will overflow in time because every day you put one more egg than you take out. Basket with eggs will overflow. Do exactly, when you get your salary to become rich. Set aside at least 10% of you earn. Take out only 90% of what you put in. Now think about what will happen when you save 10% of what you earn for 10 months? You will have 1 month of your earnings in savings with you. Isn’t it magical? Remember truth is always simple. This is how I began to build my wealth after being jobless. When I began to spend only 90% of what I earn, my purse began to fatten. So will yours. I will tell you another strange truth, when I started living on 90% of my income, my lifestyle was the same. I managed to get along just as well. And so will you. My friend, now go out and apply the first law of money to become rich. Do it now. 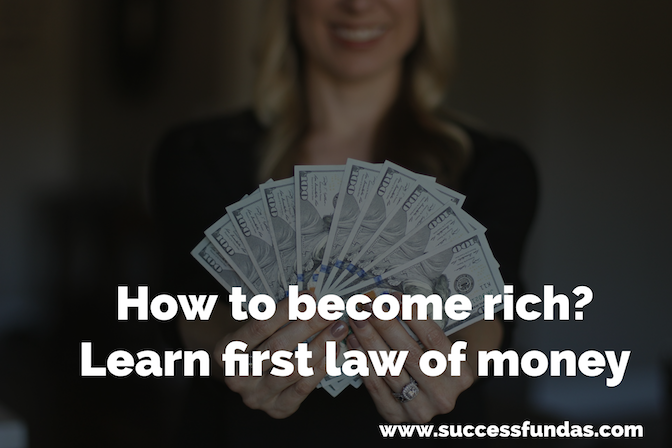 Pair first law of money with 7 positive affirmations to attract money to become rich.